A Foodie Bibliophile in Wanderlust: NEWSPAPER BLACKOUT IS OUT TODAY! 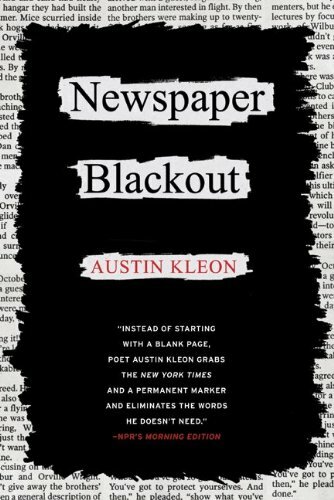 I am so excited to read the book Newspaper Blackout by Austin Kleon. Every year during National Poetry Month I have my students create Found Poems and Headline Poems so I love that Austin Kleon is giving this idea literary merit.